Place an oven rack in the center of the oven. Preheat the oven to 375ºF. Grease a 9x5-inch loaf pan with coconut oil. 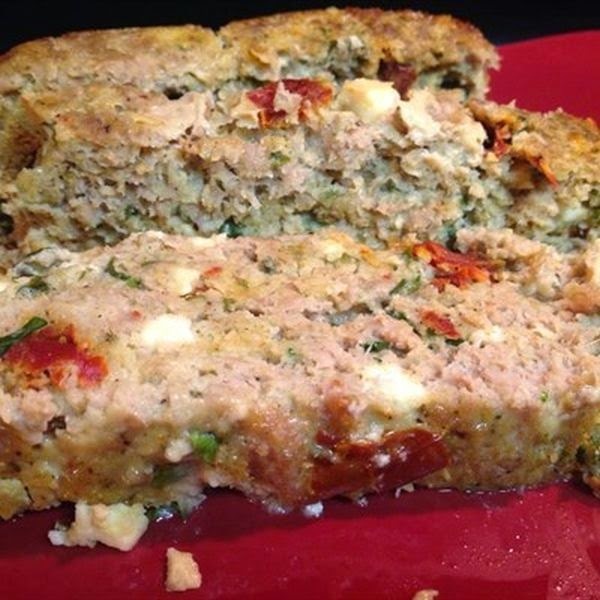 In a large bowl, stir together the bread crumbs, parsley, sun-dried tomatoes (chopped), garlic (minced), eggs (lightly beaten), milk, feta (crumbled), and pepper. Add the turkey and gently stir to combine, being careful not to overwork the meat. Carefully pack the meat mixture into the prepared pan and bake until the internal temperature registers 165ºF on an instant-read thermometer, about 45 minutes. Remove from the oven and let rest for 5 minutes. Transfer to a cutting board and slice. Put on a serving platter and serve.